How do we know if our expectations are clear? Many times a request is made of a team member that uses ambiguous language such as; I need this ASAP. This could mean different things to different audiences. To some it might mean right away, to others it could mean by the end of the day or even by tomorrow. By using clearer language you can avoid misunderstandings and help everyone including yourself do their job better. To help in this area try using the following acronym, S.M.A.R.T.E.R. communication. S Specific - Have I provided an accurate detailed description of what I want and when? M Can this request be measured? Use a defined completion point. If you say I need you to increase revenue, that’s too broad. How much revenue and in what time frame? A Attainable - Is the request I made by this individual doable? Is this person capable and up to the task? If not, don’t ask or ask someone who can fill the bill. R Results Oriented - Does this request move you closer to your desired outcome? Try not to create busy tasks, use ones that move the organization closer to its goals. T Trackable - Use benchmarks to insure you’re on the right path and making progress in set time frames. If you give someone forever guess how long it might take? Forever!! E Ethical - Is the request legal and within your company’s rules and regulations? R Recorded - Is there a written record or another person who knows about the request? If it was a verbal request, communicate it in writing as well. 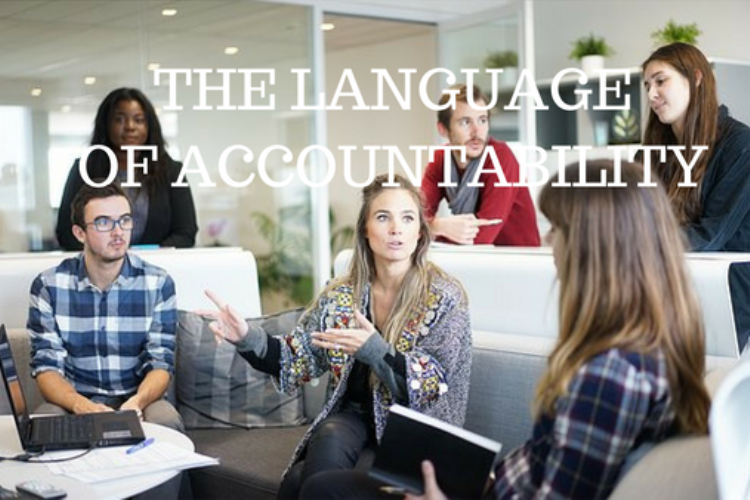 Remember the old adage “it’s not what you say, but how you say it.” Use the above SMARTER language to communicate more effectively and in clear precise terms to get more done. Older PostIs This The Last Dance For You?